Bookshelves are great household features aren't they? When considering amenities we'd like to have in our homes, attractive storage and display features often rank pretty high on the list. But then when we finally get it, we're often overwhelmed with what to put on the shelves and how to display our possessions in the most practical and decorative way. 1. Identify Goals: The first and most important task is to identify how you want the shelves to work for you...i.e.will they simply be decorative, or do you intend to use the shelves to store and access your frequently used possessions. These considerations will impact your arrangement choices. 1. Hidden storage and easy access to desk paperwork. 5. Display inspiration and books for photography. 6. A place for children's play "office" supplies and other objects of desire. That's a lot to cover but I've got a huge wall of shelves to fill. 2. Gather Items: Second, gather the items you want to put on the shelves. I always think of the William Morris quote, "Have nothing in your houses that you do not know to be useful or believe to be beautiful," when I'm thinking of what I'll include in my displays. 3. Assess Items: Review the items you've gathered and consider: a) their decorative value; b) how easily and often you'll need to access them; c) consider the size, shape, height and color of the items to be shelved in order to achieve the proper balance among the composition. 4. Arrange Items: Start placing the items on the shelves setting less-used items higher up and frequently used items in easy to reach spots. Then evenly disperse your items among the shelves by shape, color, height, etc. to achieve a pleasing "balance." In our example, we'll work from the bottom up. But first, note the very top (and hard to reach) shelves hold framed vintage maps that have personal meaning for me. Just the sight of them inspires me in many ways. The very bottom shelves will hold storage for family history items; four baskets...one for each line of our families. This system allows me to just toss items into the appropriate basket as they come my way, then deal with them properly when the moment presents itself and, at the same time, provides hidden, yet easily accessible storage. Label your storage boxes for quick identification and storage. The two next-higher shelves are dedicated to child's play. If you have small children, or even just children who visit often, try to provide a spot where their own things are within reach and they can be near you when you're working in your space. It's been my experience preschoolers love to "work" alongside a working adult. Click here to link over to a more detailed explanation of the arrangement of these shelves. Finally, all of that desk clutter gets tucked into a couple of "book" storage boxes. These storage boxes are so readily available in many stores now, but they can be pricey - I've seen them as high as $50 - so it pays to shop around. I bought these at Marshall's...$10 for the large and $8 for the small...gotta love Marshall's & TJ Maxx! I also found a vintage dough bowl to hold the larger envelopes that come my way. Placed on a shelf above eye level, the papers in the bowl can't be seen when being stowed away. The storage book boxes have their own shelf as these will be accessed daily. Above that are photography books as well as a vintage camera for interest. and now I can even use the desk! Clothing: Expect to see retailers mark down spring clothing 30% to 40% this month for mid-season sales. For deeper discounts of 50% or more, though, wait until the end of the season in May. This spring (and with an eye on Earth Day), as you begin purging your closets and drawers to make room for the new clothing you've scored while taking advantage of seasonal sales, don't be so quick to toss or donate your unwanted items. Maybe you're like me who often has a sentimental attachment to certain clothes - and even though you know you'll never wear them again, you can't seem to get rid of them. I love discovering ways to repurpose favorite clothing pieces to get that last bit of extra use out of them and keep them near me at the same time. Clothes that are too worn to donate or that have no sentimental value to me are almost always stripped of their reusable elements (i.e. zippers, buttons, pockets, etc.) to be used in future crafting or repair projects, then tossed in the rag pile. Recently, I used some of the buttons from my mom's saved button collection to make vintage button hairpins to be given to my nieces as a nice reminder of their grandma. Just bobby pins and Krazy Glue give these buttons a new life. Here's a sample from Family Chic of turning a men's dress shirt cuff into a little pouch to hold cash, jewelry or other small objects to be thrown into a purse or pocket. Simply cut the cuff from the shirt sleeve and sew the two sides up! 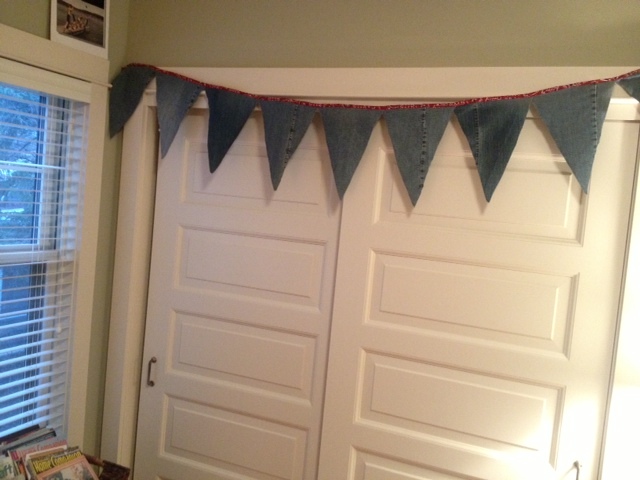 Last summer, I used old jeans to make a fun denim banner that hangs in my craft room for now, but will be used later this year on Memorial Day and 4th of July to give a nice Americana look to my buffet serving area. 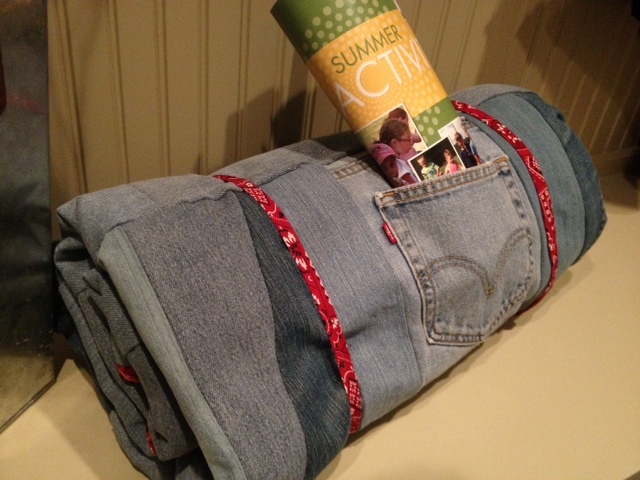 t-shirt and jeans quilt/picnic blanket. The top, or t-shirt side, of the quilt was made from nine t-shirts. 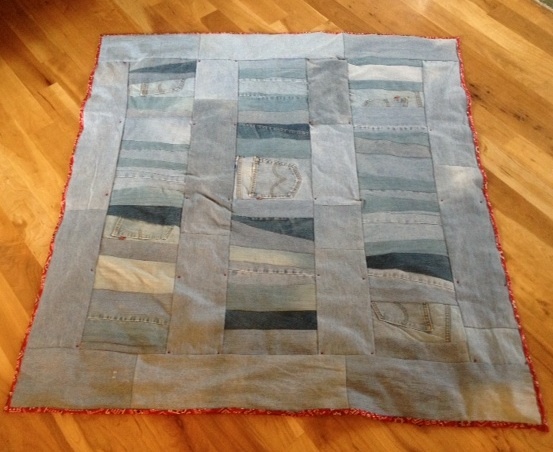 The bottom, or jeans side, of the quilt was made from nine pairs of men's jeans. And the whole thing rolls up nicely to take along wherever the summer activities lead. 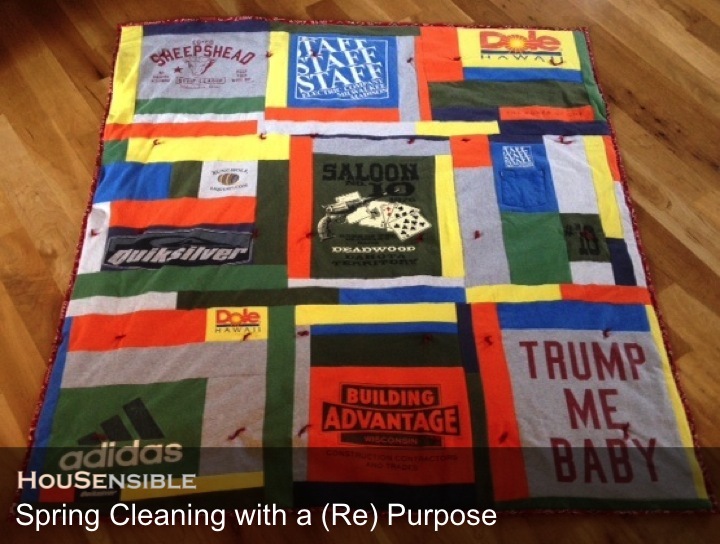 There are thousands of ways to repurpose clothing, giving new life to worn objects. 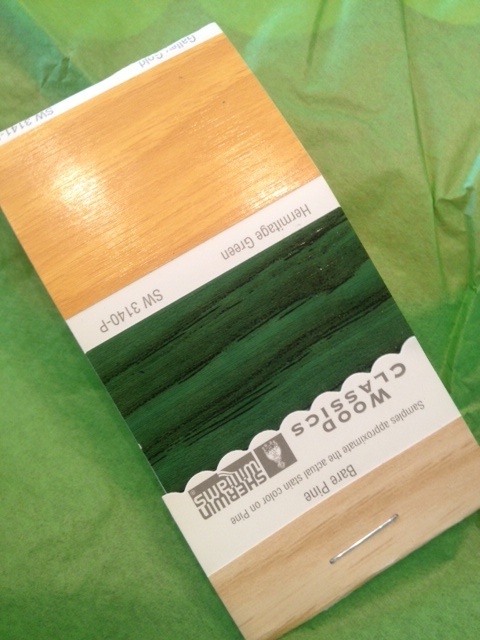 This spring, cast a creative eye toward your no longer useful items and re-craft them into new favorites. 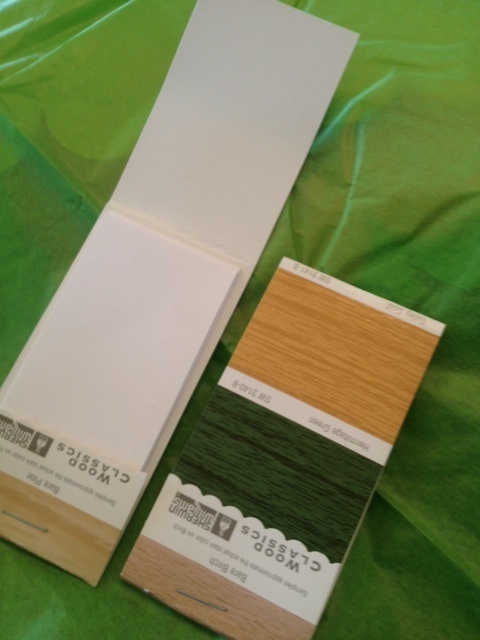 The paint chip note booklets are easily made by cutting down several scrap papers to fit into the variously sized folded paint chip cards and then stapling the bottom, matchbook style. On some of them, I cut across the tab end with a scallop scissors for an extra finishing touch. To make a welcoming and festive display! 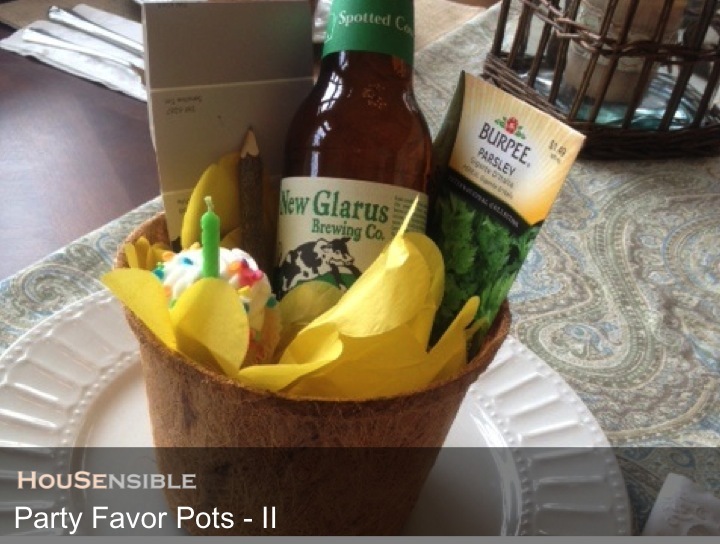 What's more fun than receiving a favor basket? Putting one together! 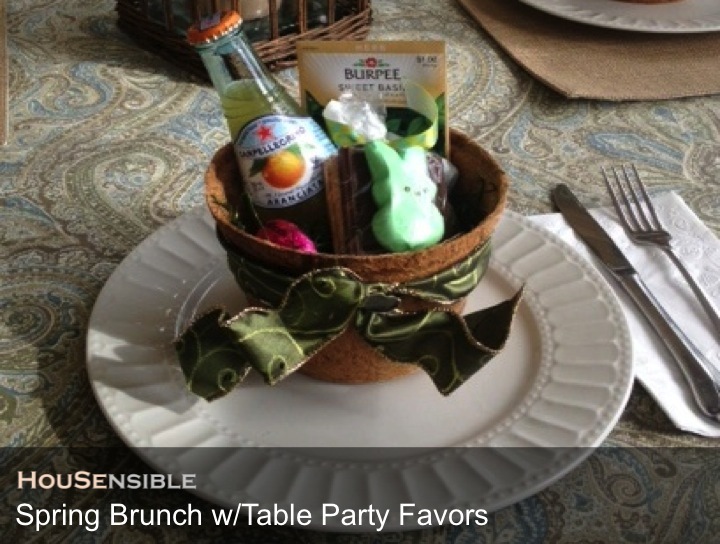 This week, I was preparing for our Easter brunch get-together with nine family members. 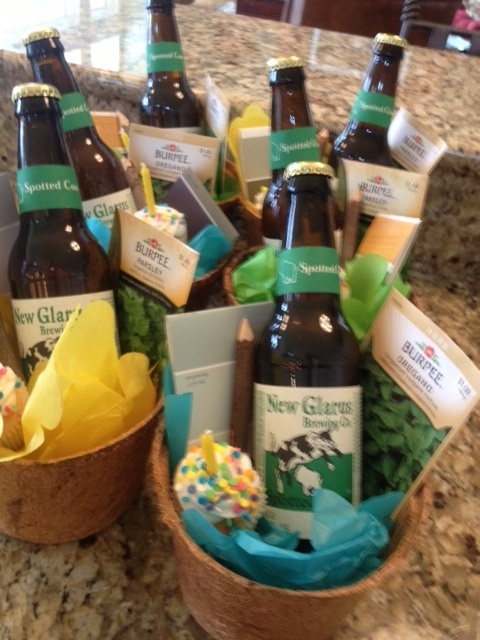 The two little ones had their Easter baskets and eggs but what about the adults? Some things you just never seem to grow too old for. 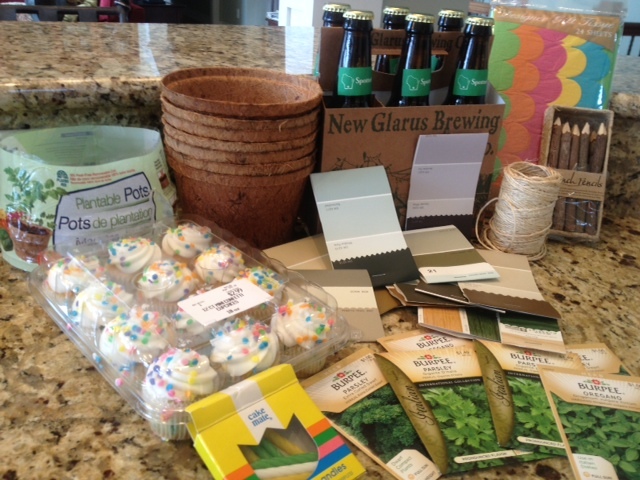 I decided to provide a little springtime love for them with cute little coir plantable pots filled with treats. 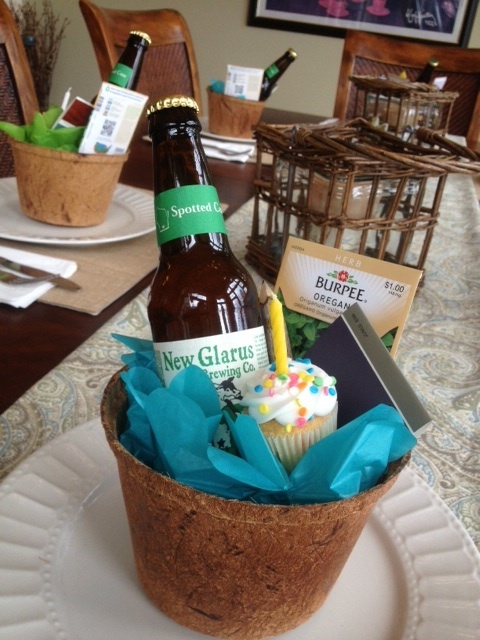 The same idea could be applied for springtime wedding or baby shower favors. Sanpellegrino Sparkling Orange Juice - about .90 each. I knew it was a hit when the trading of the seed packs began!